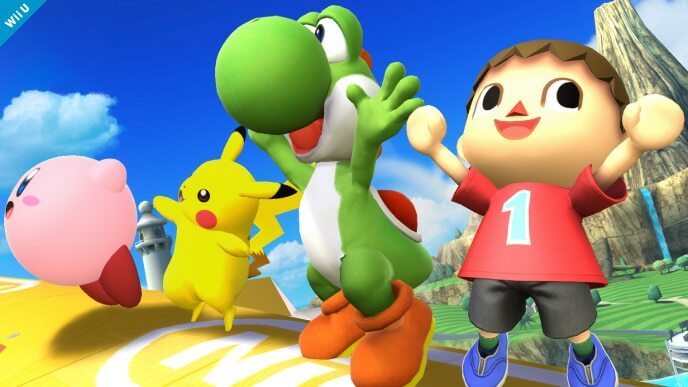 Yoshis come in all sorts of colors, but Mario’s close buddy debuted in green. Kind-hearted, naturally protective of others, and perpetually hungry, Yoshi is always up for adventure…especially if there are snacks involved. Yoshis can flutter their legs to jump incredibly high. They also have extremely long tongues that they use to snare fruit and even enemies—anything they swallow gets turned into throwable eggs. Yoshi is currently regarded as one of the worst amiibo in the competitive metagame. Whereas most low-tier fighters lack viability due to flaws in their AI, Yoshi suffers from no such issues: his AI is actually quite solid and knows how to perfectly balance melee and ranged attacks. Instead, it’s Yoshi’s character design that ultimately brings him down; his playstyle and moveset simply don’t translate into an effective amiibo. Yoshi’s main finishers, his forward and up smashes, are slow, predictable, and lack range; these traits extend to his jab, tilts, and grab as well. When it comes to getting KOs, Yoshi lacks options, and he often struggles to seal the deal even against heavily damaged opponents. Fortunately, Yoshi has a few redeeming qualities that just barely make him worth your time and effort. His smash attacks, while slow, are moderately powerful and can potentially get a KO if timed just right. 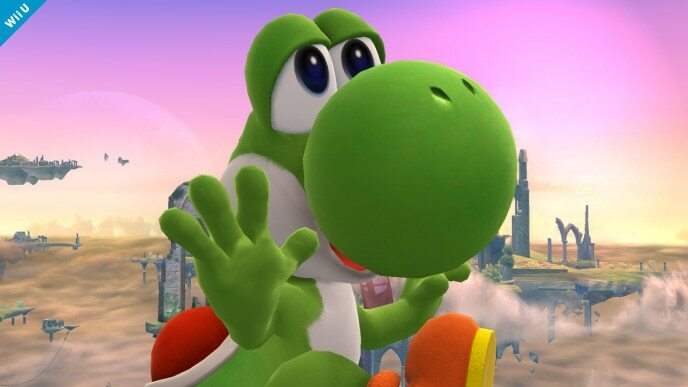 His recovery, which consists of his extended double jump and up special, is decent; Yoshi’s neutral special also serves as a somewhat slow command grab that allows him to get free damage on opponents. Finally, Yoshi classifies as a heavyweight, meaning his in-battle durability is high relative to the rest of the Super Smash Bros. cast. 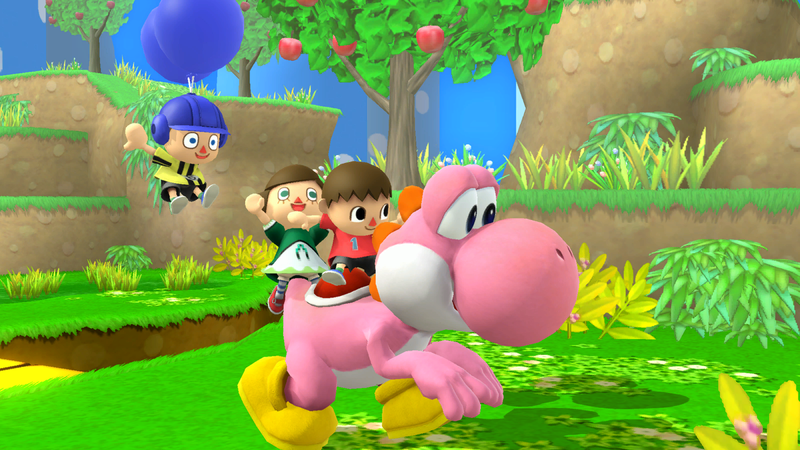 By all accounts, Yoshi is one of the most difficult amiibo to train. For him to succeed, he must play perfectly – there’s no way around his flaws, which all stem from his incompatible character design. Raising a champion Yoshi requires excellent skill and patience regardless of your experience level. Egg Launch: This is a custom move version of Yoshi’s neutral special. 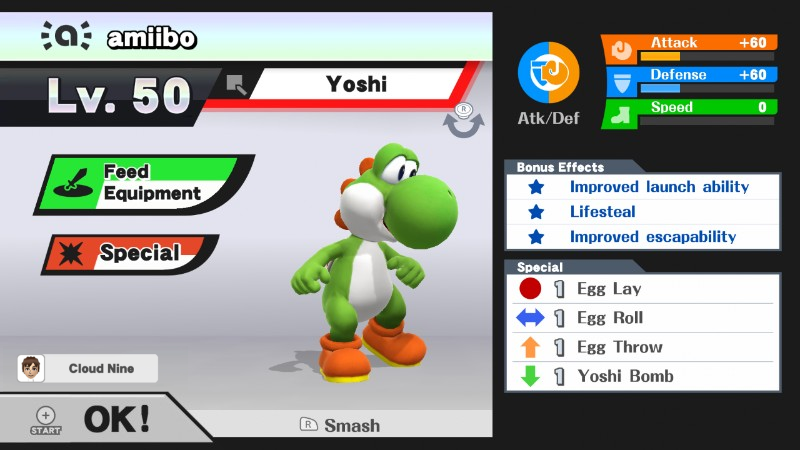 It deals more damage and has less start-up lag, and the Yoshi Egg is fired away from the character. However, the egg itself is much easier to break out of. Since most amiibo run Improved escapability anyway, the egg’s reduced durability isn’t much of an issue. Egg Launch’s faster start-up and launching utility are just too good to pass up. Neutral options: forward tilt, Egg Launch, and up special. Yoshi’s forward tilt is his best standard attack. It’s fast and deals decent damage, but lacks range. Egg Launch should be used very often, as its quick start-up and enhanced damage make it an effective option at close range. Yoshi’s amiibo is extraordinarily accurate with Egg Throw – during training, encourage your amiibo to use this move at far range and against recovering opponents. Main KO moves: forward smash and up smash. As mentioned before, Yoshi has immense trouble getting KOs. His forward smash is powerful, but has punishable ending lag and only hits directly in front of him. Up smash, on the other hand, is faster but deals less damage and has even poorer range. Rotate both of these moves as you see fit. Moves to avoid: grab. Yoshi’s grab is absolutely horrible. It’s sluggish and brings him no notable benefits. Use Egg Launch instead – it’s somehow faster (even though Egg Launch and grab both involve eating the opponent) and inflicts more damage overall. Situational moves: down aerial. Yoshi’s down aerial is the only aerial attack worth using. It deals over 30% of damage if all hits connect, and can pressure shields to the point of breaking them. Even with all of its advantages, it should be used infrequently. Prioritize forward tilt, Egg Launch, and Egg Throw at low percentages, and forward smash and up smash at high percentages.